COACH . ENDURANCE ATHLETE . CYCLIST . ADVENTURE SEEKER . I have always enjoyed sport and being outdoors, even more so since moving to this amazing part of the Yorkshire Dales over 25 years ago. Back then on my single speed Raleigh racer I would take myself off on days out exploring all the connecting valleys. I started my running career at primary school taking part in x country events, competing for Andover Athletics over middle distance track stuff in my early teens. I joined my local club Settle Harriers in 1997 where 21 years later on I am one of the coaches in the rapidly growing juniors section. I am a passionate coach keen to inspire, drive, motivate and support others in achieving their goals. 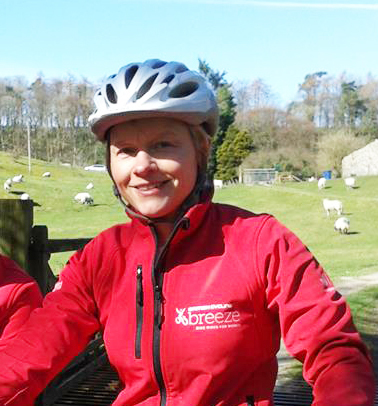 I hold the British Cycling qualification of Level 2 Coach as well as being a Mountain Bike Leader, National Standards Bikeability Instructor, Fell and Mountain Running Event Specialist amongst numerous other sports qualifications. I am coach for my local cycling and running clubs and am currently working with athletes of all abilities from recovering cancer patients to multi day ultra marathon runners. Progressing from local fell races to ultra distance events including podium finishes in the 62 mile Fellsman, triathlons, duathlons and cycle sportives such as The Etape and Fred Whitton, multi day expedition events and coast to coast stage races. All these have given me the most amazing memories and experiences whilst developing my skills and passion for fell running, cycling and many other sporting activities. 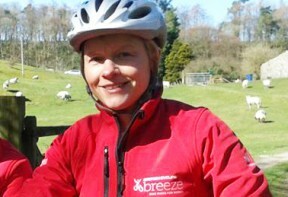 With a passion for getting more women on their bikes and involved in cycling I am a Breeze Champion and work as a mentor with British Cycling’s Ignite Your Coaching Programme supporting new female cycling coaches. I have set up childrens bike clubs at both Giggleswick Junior and Primary schools and also take FUNdamentals of movement and running clubs at Kirkby Malham, Kirkby Lonsdale, Tatham Fells, Embsay and Cowling, Cononley, Old Hutton primaries for both Key stage one and two groups. I am fully insured UK Coaching, British Cycling and England Athletics. Empowering others to achieve their life goals by inspiring and motivating them to become healthier and by making it fun. — Ruby Age 5 and 3/4!